‘Frontier’ by Tom Down is an exceptionally beautiful example of contemporary painting. By combining his superb technical skills with a fascinating, hand-made subject, Tom has created a work that cleverly utilises still-life painting traditions to comment on our perceptions of the modern world’s fragile, ever-changing, hyper-romanticized landscape. We are absolutely delighted to announce this painting as Winner of the Jackson’s Open Painting Prize; Tom will receive a £5,000 in prize money, the pride of place at our exhibition at the Affordable Art Fair and exposure across our social media platforms, prize website, newsletters and future prize promotion. 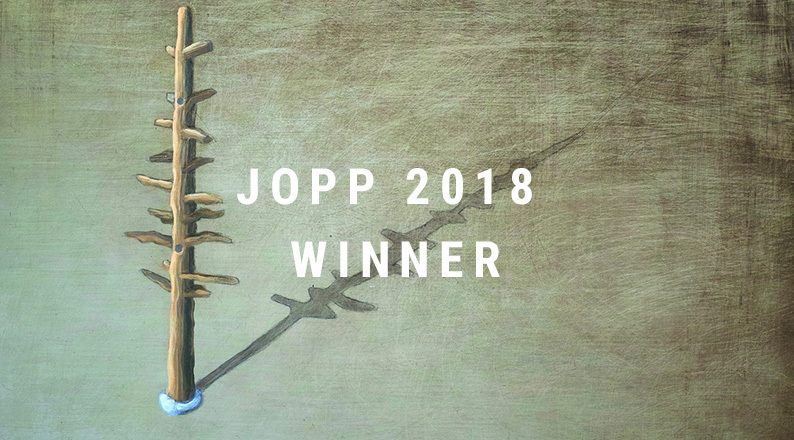 Winning the Jackson’s Open Painting Prize mean’s Tom’s work was not only chosen out of the 3,327 international entries, but it also made it through multiple rounds of judging by both our in-house team and our panel of Expert Judges. ‘My practice examines the inner workings of the romantic landscape. I am fascinated by visual clichés such as alpine vistas, desert valleys and forest idylls, and the influence that such tropes hold to this day. Extracting and focusing on key elements of these landscapes – a lone tree, a pile of rocks, a simple dirt ground – I then begin to explore the gap between our perception and reality of these archetypal places. 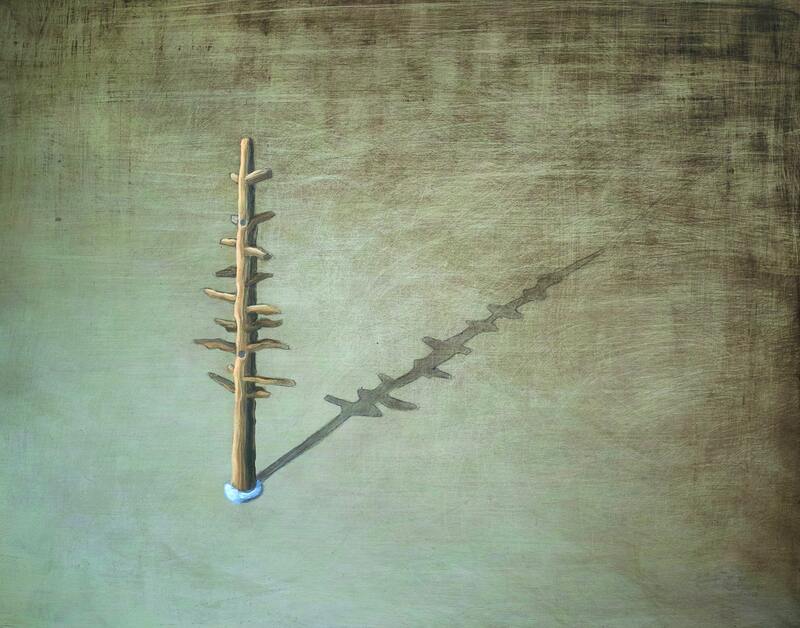 ‘frontier’ is based on a lo-fi physical model: a crude facsimile of a tree stripped of its foliage held up with blue tack. Depicted subtly with little overt gesture, my aim is to open up space for the viewer’s interpretation – a quiet act of defiance against the spectacular and sublime from where these subjects first came. Originally from Birmingham, Tom graduated in 2008 with a BA in Fine Art: Painting, from Wimbledon College of art. Recently he has been selected to exhibit in the 2018 John Moores Painting Prize and has previously exhibited at the Royal Academy of Arts and London Art Fair. He has also exhibited a myriad of exhibitions based in London, Farnham, Cardiff, Lancaster, Dover and Bristol, plus been shortlisted in a variety of high-level prizes. His paintings are currently held in private collections in the UK and the USA. View more of Tom’s work here. View more information about Jackson’s Open Painting Prize.